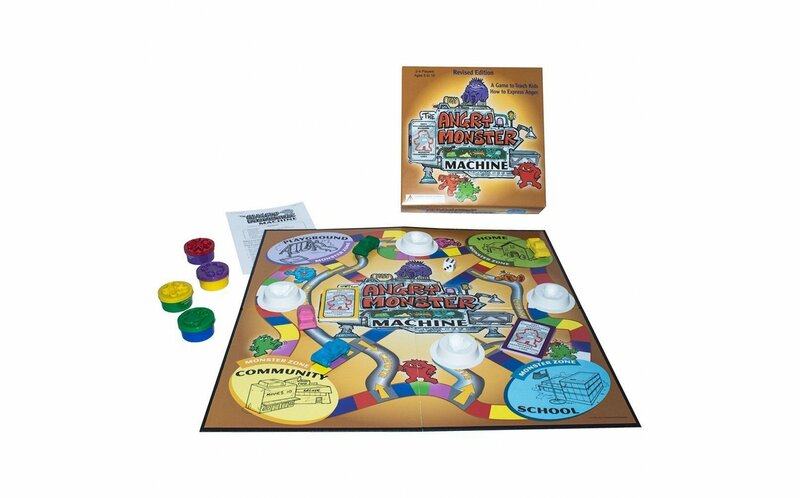 In this game, each player uses a truck to cart a Play Doh monster to the Transforming Machine. The player then selects an adaptive way to transform the angry feelings and the Play Doh monster into something positive. The object is to be the first one to capture and transform four Angry Monsters. The players learn anger coping skills as they play. 2-4 players. Ages: 5-10. I was slightly disappointed with this game. The directions are very difficult to understand; I had to read them several times and was still confused as to how to play. Also, there is a very low number of cards for players to choose. Due to both of these things, I am not sure how to best use this game therapeutically. 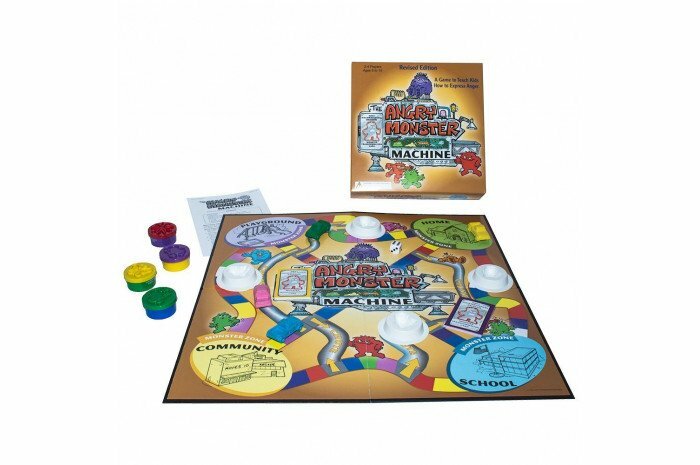 Working as a Child and Family Therapist for years, this game is a favorite! I use post-its to help guide the direction of play. But kids love to take their preformed play dough angry monsters and transform them by reading cards teaching general coping skills. Kids enjoy the fun of play dough while learning. I have them review each skill as they put the play dough away at the end of session.